Dubai, UAE, October 08, 2018: The traditional idea of where we get the feeling of home has been disrupted, according to a global research project by IKEA Group. 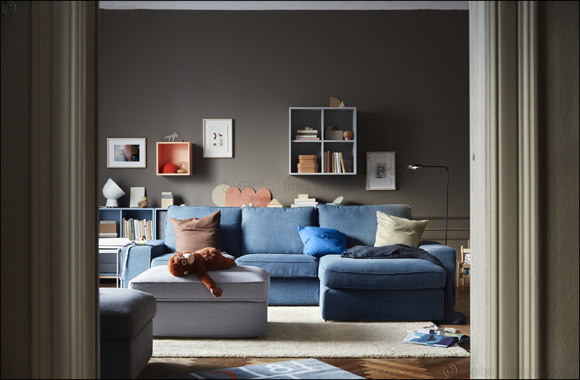 The fifth edition of the Life at Home Report – an annual study into domestic living trends around the world – found that 29% of people globally say there are places where they feel more at home than the space they live in. The research also observed a significant increase in this feeling amongst people who live in cities, where the figure rose from 20% in 2016 to 35% in 2018. The Life at Home Report 2018 identifies five core emotional needs which capture the feeling of home – privacy, comfort, ownership, security and belonging. The majority of people believe it's important that their residential home provides these needs. However, depending on living situations, the reality can fall far from expectation. Almost two-thirds (62%) of people living with friends believe it's important that their home provides them with a feeling of ownership, but only 34% of them say that their home lives up to expectation. The report explores how major global changes including urbanisation, digitalisation and the rise of technology impact how people feel about life at home now and in the future. Lack of living space and privacy is often cited as a challenge, and as cities are set to grow exponentially in the coming years almost half (48%) of people say they feel anxious about their homes becoming smaller in the future. The report found that typical home activities are shifting outside the home. One in three (36%) people say they shower somewhere other than their own bathroom multiple times a week, and 23% eat with friends or family outside their home at the same rate. The reverse is also true, as the boundary between work and home continues to blur. More than two-thirds (68%) of urban dwellers bring work home, with 25% of them saying they do it every day. Globally, 23% of people say they work in the home more than they used to. The effect of this shift in attitudes and activities has led to a generation of people who want to redefine the spaces they live in. Six in ten people say they'd like to create a home that's different from the one they were brought up in, and 64% say they would rather live in a small home in a great location compared to a big home in a less ideal location. What's more, almost half (49%) say they are excited about spending more time outside of their home and amongst their communities than before.